If you havent seen any posts of late, there’s a good reason. For now I’m out of Tokyo and back in Australia. I am alive and well, however this blog needs A NEW POST. 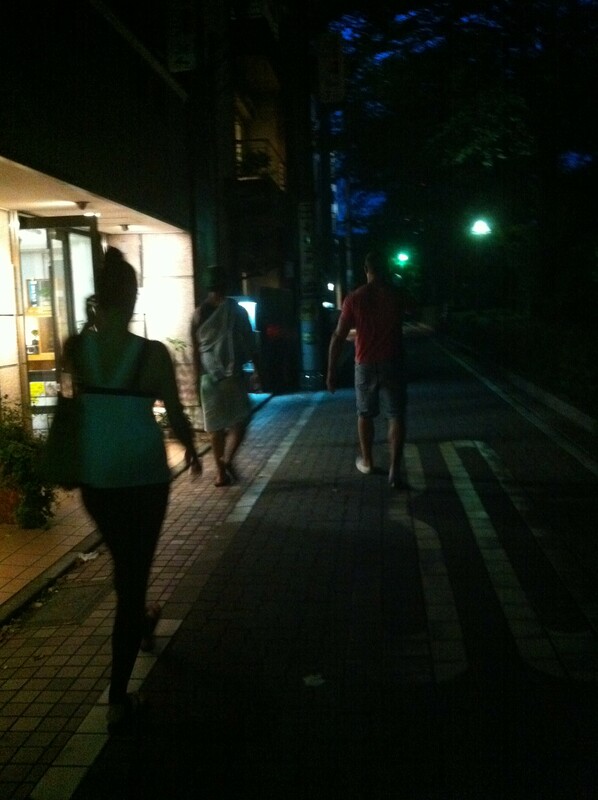 A few days before departing my riverside neighbourhood, some friends and I strolled Yamate-dori for some dinner-time grub. We should have known, it was a Friday night and dining in Tokyo on a Friday evening is busy. After being turned away by a number of restaurants, Baja Homemade Tacos became our success story for the night. I had discovered Baja before and quite frankly forgotten about it until our faithful re-discovery that sweltering, humid night. 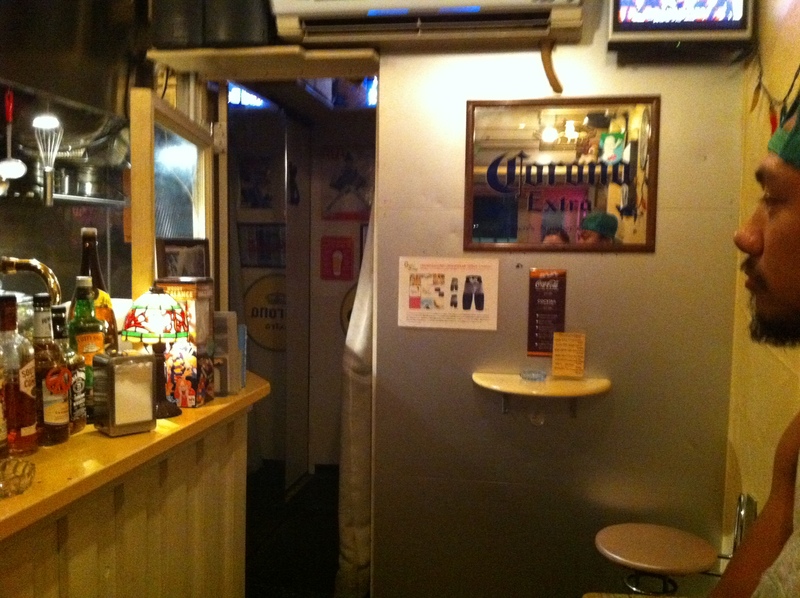 Just like all the best bars in Tokyo seem to be doing it, Baja is just a tiny hole-in-the-wall cantina with room for two small bar stools and a 3 person standing space. It’s the kind of place that occupies itself, and by this I mean, when 5 people enter Baja they own that Mexican joint until they walk on out of there. And this, we did. Hungry and thirsty, we paid a total of 3,000 yen between us for a round of drinks and tacos to snack. gourmet taste. Only 330 yen each. potato chips. I also spotted cinnamon chips on the menu!? And that’s just about it for the food menu. You can also order McDonald’s like Sundae ice-cream but the menu remains simple for the obvious reason that Baja is manned by just one young and very friendly barman/cook. He started Baja 6 years ago after returning to Japan from his time working in a Mexican restaurant in the USA. “I don’t like guns” he told me when describing his Mexican mingling’s in America. This west-side style portrayal of a Mexican bar definitely has character and appeal, attracting youthful boarding, biking, clubbing crew to hang out or drop by for take-out snacks. Drinks are cheap as just about everything is priced at ¥500, except for shots (rum, tequila, vodka or gin), which are a mere ¥300. It also stays open right through the night, till the first trains start running in the morning. Just 5 minutes’ walk from Nakameguro Station, this just might be what you need. 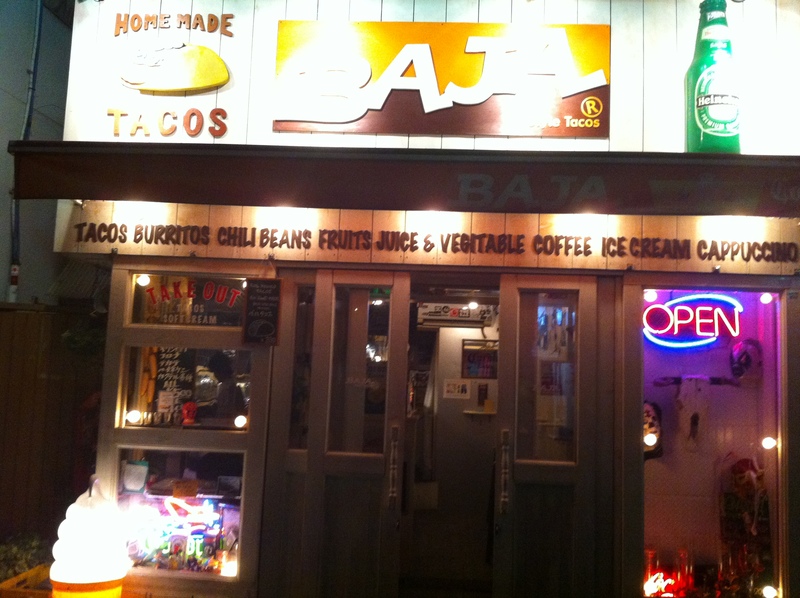 Baja is open 5pm-5am Mon-Fri, noon-5am Sat & Sun. Call 03-3715-2929. Great to see the posts still coming in even though you are out of the country! Definately try this place out, great for a 3am feed! Was just here a couple of weeks ago, great spot, interesting people seem to frequent. I haven’t been for a little while now but the place definitely seems to reel in a regular crew! How do the tacos stack up against Norfolk and El Loco? They compare well 🙂 Definately a close tie. Baja’s small, its a one man band – nothing like that in Sydney!